SHREVEPORT, LA — Centenary’s Department of Theatre brings an innovative take on a dramatic classic to the Marjorie Lyons Playhouse stage this month with a production of Steven Dietz’s The Nina Variations. Dietz’s 2003 play is a tribute to Anton Chekhov’s The Seagull, offering 43 funny, fierce, and heartbreaking variations on the famous final scene between Chekhov’s star-crossed young lovers, the actress Nina and the writer Treplev. 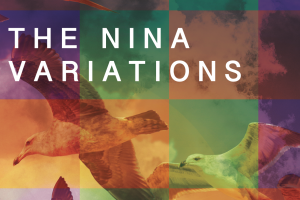 Centenary’s production of The Nina Variations opens Thursday, February 14 and runs through Sunday, February 17. The run includes 7:30 p.m. performances February 14 through 16 and a 2:00 p.m. matinee on Sunday, February 17. Tickets are $15 for general admission, $10 for military/senior, and $5 for students with ID. Centenary students, faculty, and staff are admitted free with a valid Centenary ID. Sledge’s unique approach to casting the play has presented the actors with new challenges and unexpected opportunities for growth. Sophomore Harrison Starrett, a native of Bossier City, says that working as part of the ensemble cast has challenged him to think differently and more critically, making him a stronger actor. The cast predicts that MLP audiences will relate to The Nina Variations in unique ways. Senior Bailey White, from Shreveport, is trading her usual position as stage manager for an acting role as one of several “Ninas.” She thinks that the audience will perhaps forget that there are only two characters in the play, because the same characters will be played so differently by each actor. Elizabeth Beagley, a sophomore from Benton, Louisiana, and another “Nina,” agrees that the play will challenge the audience in a creative and positive way. With this innovative take on The Nina Variations, director Logan Sledge successfully challenges his cast and crew while raising thought-provoking ideas and questions for the audience. Tickets for The Nina Variations at MLP are available online at centenary.edu/mlptickets.